How should furniture for the modern office look? What kind of demands does the increase in communicative networking in the office make on furnishings? What turns an office into a place where people can work together in the modern way? These are the topics that Assmann will be covering when it introduces up-to-date and innovative solutions for modern office environments at the ORGATEC 2014 in hall 8, stand A30/B31. Assmann will be introducing its brand new, innovative workstation module, Applica, at the trade fair. The core structural element of the desk fulfils all the functions of a communications hub at the workstation. Power and data cables enter the module via floor boxes or covered inlets and can then be divided into up to nine individual external sockets for mobile devices. The entire cable management system is not visible from the outside as it is tidily housed within the Applica module. 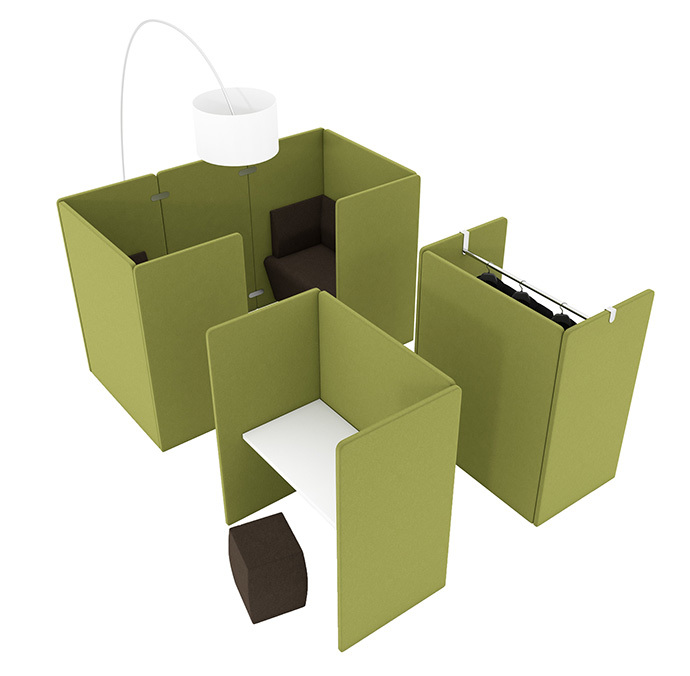 The intelligent framework can also accommodate other options such as screen or ipad holders. Applica can also take over some of the important functions of space or surface infrastructure. 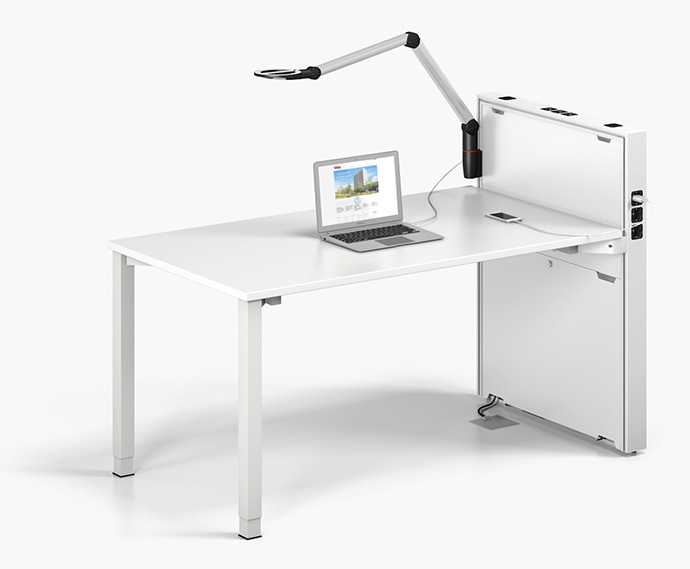 The desk module can be configured to supply the perfect solution for lighting workstations and zoning work spaces. Both design variants, with round or angled frames, are strictly based on the “form follows function” principle. The clear design features underline the need for modern working environments to integrate all the options offered by communications technology intelligently, thereby creating an atmosphere of well-being in the office. According to the Assmann concept, a motivating work environment requires not only the intelligent networking of technology and communications, but also places to retreat for informal communication, as well as rest and relaxation. The Syneo range of lounge furniture, with its well-designed, perfectly coordinated individual elements, offers plenty of opportunities for the acoustically effective planning of space. 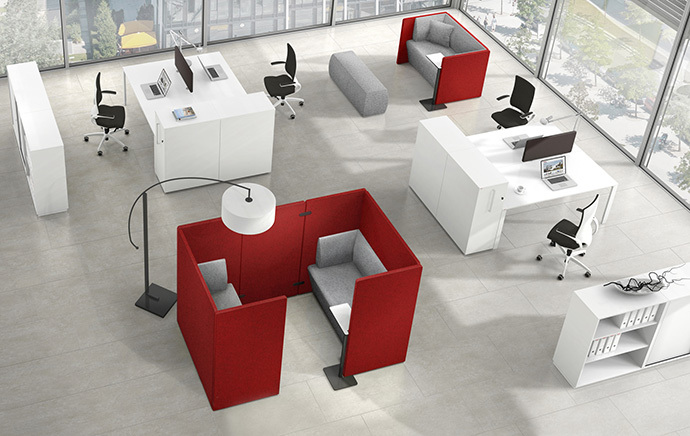 Whether you want to create a meeting cubicle, seating areas, temporary workstations or set up informal zones for breaks, Syneo offers solutions that imaginatively combine clear shapes and practical functionality. 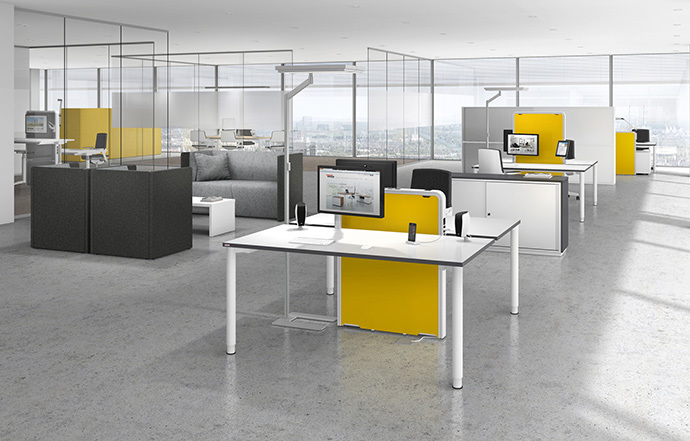 Assmann has also responded to increasing cost pressure when it comes to investment in public authorities and developed a special range of workstations for low budgets. These desks will be available in various frame types and as stand-up/sit-down desks.